Previously we studied the Current divider rule, its statement, and formulas using various examples. In this post, you'll learn the CDR for 3 equal resistors of 9 ohms each. Statement: Three equal resistors of each 9 ohms are connected in parallel. 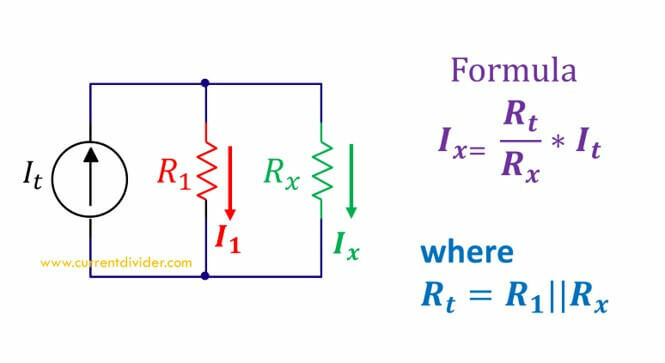 Find the current flowing through each resistor. The incoming current at the node is 9 A. 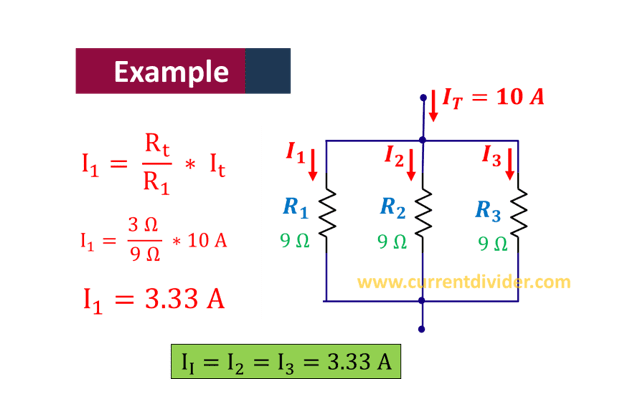 After going through above example we conclude that whenever three equal valued resistors join in the parallel configuration, the incoming current at the node is also equally divided. The result is true for any number, either 2,3,4, 5 or n number of resistors are in parallel.